Is your contact center prepared to handle “experience opportunities"? Essentially, the Moment of Truth is a deciding moment with potentially grave implications! I would like to use this idiom to go back in time about 10 years when the McKinsey Quarterly published a report called, The Moment of Truth in Customer Service (February 2006). The McKinsey report put forth a theory that it is in the handling of interactions where Moments of Truth occur that contribute significantly to loyalty. These are said to occur during the most challenging and “emotionally charged” customer encounters, yielding the most critical moments in building or breaking relationships. The encounters are dependent on the front line making the right communication decision, whether to empathize or terrorize the customer. The report’s central message is that emotional intelligence, the array of skills and characteristics that drive leadership performance (Daniel Goleman, “What Makes a Leader,” Harvard Business Review, 1998), is the core competency required to be successful in customer service delivery. The report enjoyed a lot of attention 10 years ago when it was first published. I wanted to check in 10 years later to see if we are facing similar challenges today. Well, all indicators are that relevancy remains. Clearly, the contact center industry continues to change, grow and expand to serve the evolving needs of a variety of consumers across multiple industries. Customer experience has become a strategic initiative and the focus of many boardrooms and executive suites. This dynamic provides additional opportunities to tie the needs of the contact center to the strategic objectives around customer experience. Leaders must take the strategic message from the C-level to the cube-level. A key principle in Moments of Truth is that leadership provides a deep and rich understanding of the WHY… why we do what we do. The conversion of strategy to tactics (at PowerHouse we call it a Stra-Tactical approach) is in fact the job of leadership. 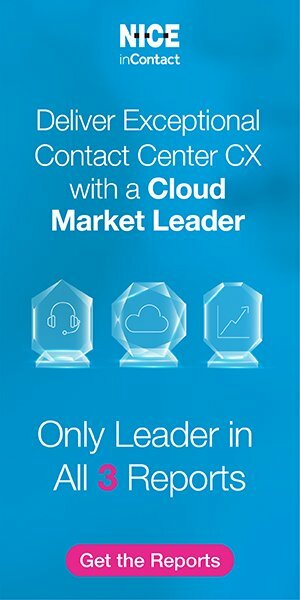 Everything done in the contact center must link to the customer experience so that the front line understands the WHY. They must come to see BRAND as a verb! To “brand” means to identify appropriate behaviors, link those behaviors to the “brand” (noun), and coach to and reinforce at every opportunity. We must keep in mind that, in the last 10 years, technology has advanced; many, many transactions are now automated. Consumers are able to navigate many transactions without ever making a phone call. To me, this means that calls today are more likely to represent “Experience Opportunities.” These Moment of Truth situations arise because, clearly, alternative channels have failed to resolve the matter for this particular consumer… or they simply prefer a voice contact. In spite of the fact that the McKinsey report focused 100% on voice interactions, its relevancy today is clear. While some “support centers” today “brag” that they don’t even take phone calls, a recent study by ContactBabel found that 80.4% of inbound customer service interactions were over the phone. That’s for now. Keep in mind that, 10 years ago, web chat, smartphone apps, social media and email either did not exist or were little utilized, as Dimension Data points out. According to its 2015 Global Contact Center Benchmarking Report, today, digital interactions account for over 35% of all interactions. I categorize digital interactions as transactions; the consumer is only navigating an explicit set of tasks. Having said that, if your digital channels perform poorly and the consumer who WANTS to use an automated channel has no success, this consumer is FORCED into the voice channel (and often with an attitude). If the frontline agent is unfamiliar with or lacks emotional intelligence, they may terrorize rather than empathize. The fact that access channels have expanded does not minimize the importance of Moment of Truth for one simple reason. Moment of Truth refers to a particular type of interaction, one that is decisive and “emotionally charged.” This can occur within customer service for a million reasons… a flight cancellation, lost or stolen credit card, incorrect bill, late charge, wedding gift you ordered not received, trying to get an appointment with a medical specialist, or just being left on hold beyond any reasonable measure. I offer a personal experience. I recently spent 18 minutes on the phone; my medical insurance provider had sent me a FINAL NOTICE on a policy that was most definitely not delinquent! Otherwise, I can assure you I would not have waited on hold for so long. I was on hold for 1,080 seconds, during which relatively inoffensive music was playing, except that every 45 seconds the pointless “Your call is important to us” message played. I heard that message 24 times… yes, 24 times! I ask myself why it is so difficult for people to correct something so simple. All that this technology configuration (how about mis-configuration?) managed to do was irritate the hell out of me when I was already irritated! When the agent answered, I made some crack about the delay. The next thing out of the agent’s mouth was, “WELL, WHAT’S YOUR NAME?” I intentionally put that in CAPS because it was a demand. From a human perspective, she decided to terrorize me. Now the spiral of emotions headed in a very bad direction! The missed Moment of Truth; all she had to do was “empathize” with me. It sounds so easy, but that is what a Moment of Truth should be! Unfortunately, it is only easy when you build an organization with the requisite attributes. A clear recommendation… hire people with strong emotional intelligence. (According to Goleman, it boils down to five characteristics: self-awareness, self-regulation, motivation, empathy and social skills). Many methods and tools exist for evaluating the human qualities of job candidates. Start using them! In addition, once you hire for emotional intelligence be certain that your entire leadership team demonstrates those same skills when coaching and developing people, when evaluating processes and procedures, and when deploying technology. These activities within the contact center impact ALL team members. Make emotional intelligence a hiring requisite for all team members, front line and leadership. Conduct a “health check” on your systems and processes, too. If your agents have to navigate a number of systems with varying structures, rules, sign-ons, log-ins, time-outs and password resets, know that your interaction will be hijacked by the transaction. You will be lucky if the agent isn’t mumbling under their breath about the idiocy of it all. Information sharing, training and learning are of extreme importance today. Things are changing so fast it is important for leadership to maintain a communication plan to keep the frontline informed. Take a good long look at your learning programs and job support tools to identify improvement opportunities. Training is evidence that the organization cares about its team; this translates to the team caring about the customers. It is never too late to start down this path, especially when an overwhelming number of voice contacts received in contact centers today involve a problem that needs to be solved. The proper handling of these situations is the customer experience Moment of Truth from the consumer’s perspective. When a company says it cares about the customer experience, that “care” must be “felt” by those seeking resolution. This will be best accomplished by strong leaders who create great messaging, training and tools, and who demonstrate the same behaviors toward staff as staff must demonstrate toward customers.